Assange's lawyer in Quito, Carlos Poveda, told reporters that the asylum was terminated in reprisal for corruption allegations against President Lenin Moreno. Quito: Ecuador has suspended Julian Assange’s citizenship and accused him and people connected to his WikiLeaks group of collaborating in attempts to destabilise the Andean nation’s government, after years of offering him shelter. Assange’s Ecuadorean citizenship was suspended on Wednesday, foreign minister Jose Valencia told reporters. To some, Australian-born Assange is a hero for exposing what supporters cast as abuse of power and for championing free speech. To others, he is a dangerous figure who has undermined the security of the US and has too many ties to Russia. WikiLeaks angered Washington by publishing hundreds of thousands of secret US diplomatic cables that laid bare often highly critical US appraisals of world leaders, from Russian President Vladimir Putin to members of the Saudi royal family. 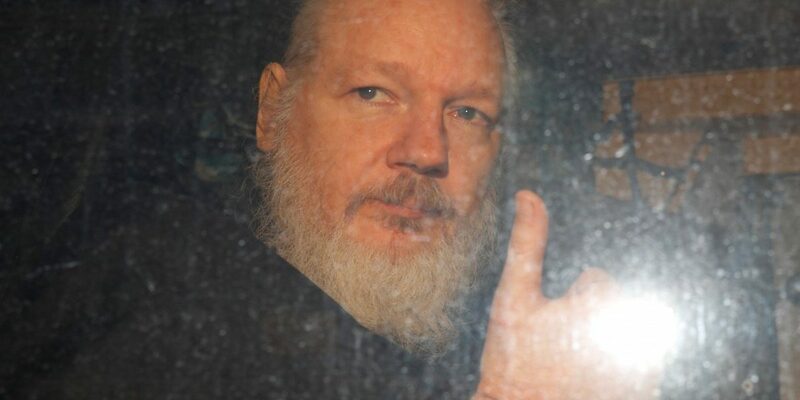 Assange’s lawyer in Quito, Carlos Poveda, told reporters that the asylum was terminated in reprisal for corruption allegations against President Lenin Moreno and that his life will be in danger if he is extradited to the US. Assange was offered refuge in 2012 by Ecuador‘s then-president Rafael Correa, but his relationship with Ecuador has soured under Moreno, who has said Assange violated the terms of his asylum. Moreno was angered after years-old private photographs of him and his family taken when they lived in Europe were circulated on social media. His government said it believed the photos were shared by WikiLeaks. “At the time the decision to finalise his asylum was made, there was only a case in the United Kingdom for violating the conditions of his bail in 2012”, Valencia told lawmakers. US prosecutors unsealed an indictment against Assange on Thursday, accusing him of conspiring with former Army intelligence analyst Chelsea Manning to gain access to a government computer as part of one of the largest compromises of classified information in US history. Assange faces up to five years in prison on the American charge, the US Justice Department said in a statement. “We hope it will be the Ecuadorean justice system which will confirm the exact relationship”, Romo said. “(The person) was detained this afternoon while attempting to travel to Japan”, said Romo, without providing the person’s name or nationality.